Binge watching night with Tom Beck! A binge watching night requires the right snacks. No one knows this better than Tom Beck, a German actor, who has been starring in numerous TV shows like "Alarm Alarm for Cobra 11 – The Highway Police". Instead of eating a bag of chips, he recommends these delicious sweet potato pizzas that outshine any frozen pizza. Preheat oven to 180°C/355°F. Cut sweet potato into 1/3-in. thick slices and transfer to a parchment-lined baking sheet. Brush oil on both sides of slices and season with salt. Transfer to oven and bake for approx. 15 min. 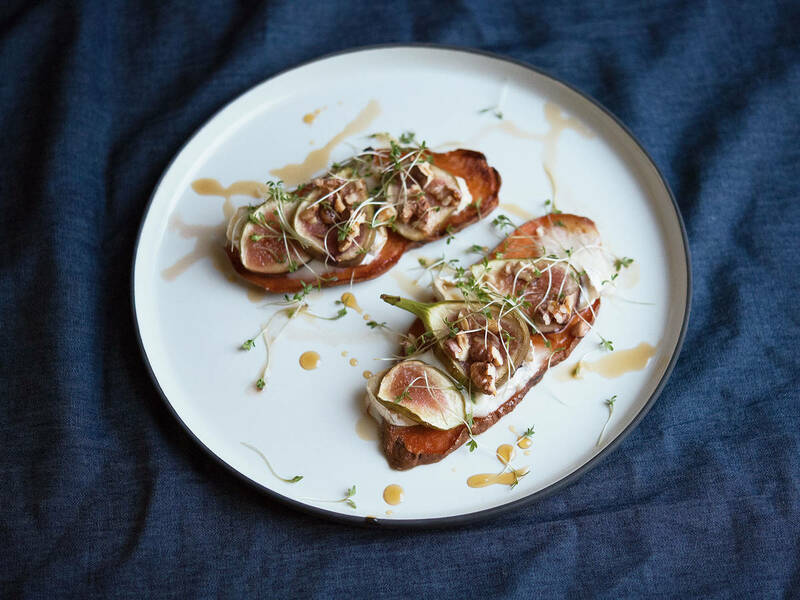 Cut goat cheese and figs into thin slices. While sweet potato slices are still hot, top with sliced goat cheese, figs, and walnuts. Return to oven and bake at 200°C/390°F for approx. 8 min., or until cheese is melted. Drizzle maple syrup over sweet potato pizza and serve with fresh garden cress. Enjoy! The best opportunity to try out these sweet potato pizzas is March 17th. Then, "You Are Wanted," Amazon's first German series production, is released.